If you have a lot of crashes with Google Maps, like there is on the Pipo T9 with 4.4.2 KitKat, then there is a possible solution for you now. The rare problem can occur if you have Network Location (µg UnifiedNlp for GAPPS-free devices and possibly other Location provider middleware) installed. These are, like on the Pipo T9, integrated by default. If that is the case, you can't uninstall it, but on most devices you can deactivate it in Settings -> Apps -> All. 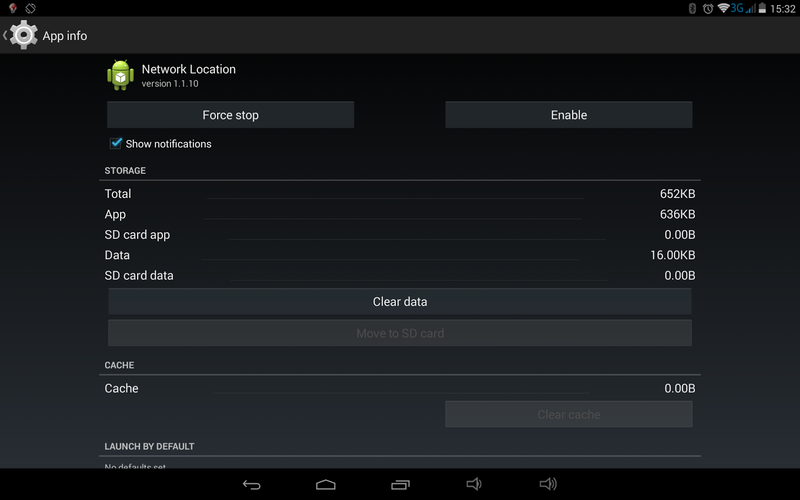 (It's often referred as "Network Location" in the apps list). After you got rid of it, Google Play Services should be the only Location provider on your device. Reboot it and Google Maps should work again. At least it's the case on my Tablet. Yay. There is no definitive explanation why this happens. And obviously it's rare. There was nothing found on the web in particular about Google Maps crashing on almost every Pan & Zoom or when navigating. I assume these alternative location providers interferes with Google Play Services which has its own. Like always, do this at your own risk. You should be able to reenable it if something won't work, or you have disabled the wrong location provider. Please note: If you get a warning about Google Play Services being restored to the factory version, cancel disabling. It's not the one you are looking for :). This needs to be installed unless you know what you're doing.